We met up with Linnea Olsson for a chat and a sneak peak of her show at the Casbah on February 14. We caught up with her about writing her new album Ah! and touring with Ane Brun. Watch the Backstage Pass interview with Monique Aguirre to enter Linnea’s world. 4:22 – How long it took Linnea to write and record Ah! 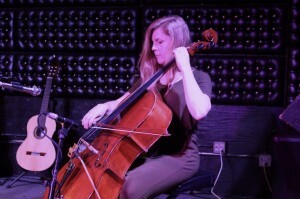 Did you miss Linnea’s show at The Casbah this time around? Read Monique’s monthly Casbah column and see her review of Linnea and Ane’s show. Special thanks to Linnea Olsson and her team, and The Casbah! 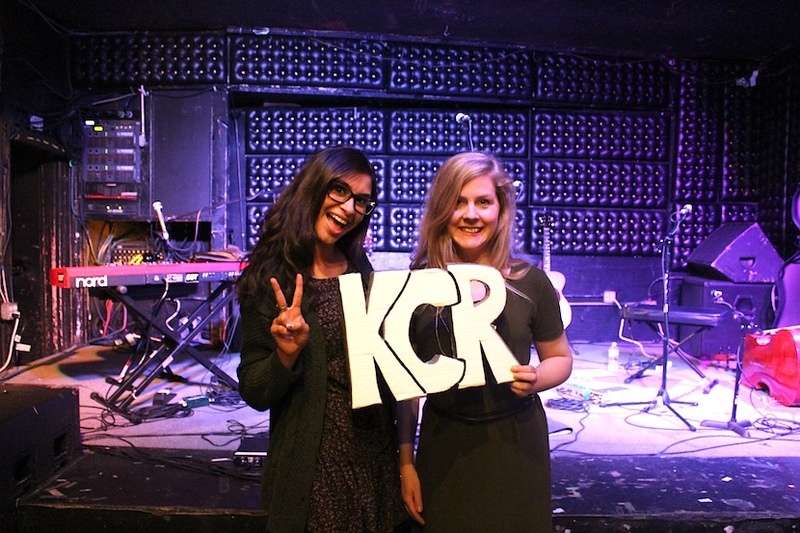 Local or visiting band interested in recording a KCR Secret Session or Backstage Pass? Let us know! So you know when you go to a concert and it seems as though the opening act will never end? Your feet and back start hurting before your favorite headliner even comes on. You try to distract yourself with a few more drinks, a few Instagram checks and restroom breaks. You fear you won’t be able to make it until the end of the show. Last Tuesday, March 4, was nothing like that. Dirty Science is a record label which supports and fosters great underground hip-hop talent including, Blu, Exile, Johaz, Coss and Fashawn, and they are what’s happening in underground hip-hop right now. I was especially excited for this concert because I was not only going to see one of my favorite producers (Exile) but I was also going to interview him. Unfortunately that interview did not pan out as expected. Because of the change in plans I had a bitter taste in my mouth, but it was nothing a few beers and good music couldn’t fix. The Casbah was packed. From all the times that I have been there, it was easily the most crowded show. This is just a testament to how popular and talented these artists are. Opening, were a few talented DJ’s. DJ Artistic, ABJO and Mr. Brady. After some of the local DJ’s, the young up and coming artists from Dirty Science got the chance to showcase their abilities. Denmark Vessey did a few songs from his EP Don’t Drink the Kool-Aid. Vessey was good but definitely has a long way to go in terms of perfecting his craft and stage presence. He does have potential though, I will give him that. I don’t expect to be able to decipher what a rapper is saying, especially if I don’t already know the lyrics. Choosey made sure the crowd heard and understood him. Vessey reminds me of a mix between Mos Def, ODB and Tyler the Creator, all very different rappers, so you’ll have to check him out for yourself to see what I mean. It was apparent that Choosey aka King Choosey aka Makeshift (producer name) had a few more shows under his belt than Vessey. Choosey spit clearly, which can’t be said for many hip-hop artists. I don’t expect to be able to decipher what a rapper is saying, especially if I don’t already know the lyrics. Choosey made sure the crowd heard and understood him. He got the crowd ready for Dag Savage and Blu & Exile. It might have been because at this point everyone was already a few drinks in but I’m giving Choosey the credit. An easy way to determine if an artist had a good performance is simply if you take the time to look them up after the show, which is exactly what I did with Choosey- and I encourage you to do as well. Dag Savage didn’t get on stage until 12. It was late but as I said before, we weren’t complaining. Dag Savage, in case you didn’t know consists of rapper Johaz and producer Exile. They recently came out with their debut album E&J. Johaz is a San Diego native so he was familiar with the crowd. Johaz opened with The Beginning, which was very fitting. This song sets the tone for the rest of the E&J album just as it did for the show. Slower, melodic, old school beats coming from the speakers were unmistakably produced by Exile. I was happy to hear one of my favorite songs on the album, When It Rains. Although Aloe Blacc wasn’t there in person, Dag Savage killed it nonetheless. Everyone was jumping, bobbing their heads, throwing their hands up and sweating. There was a lot of sweating going on. Johaz himself has incredible stage presence. He was jumping and running all over the stage, the crowd returned the favor. Everyone was jumping, bobbing their heads, throwing their hands up and sweating. There was a lot of sweating going on… His more personal song, For Old Time’s Sake wins the award for best performance. Johaz is the type of artist that wears his heart on his sleeve, putting it all out their for the crowd to take in, which is exactly what they did. Vessey and Blu came out for Drugs, which only made Dag Savage’s performance better. To see all of these guys on one stage, feeding off of each other and having fun was unbelievable. 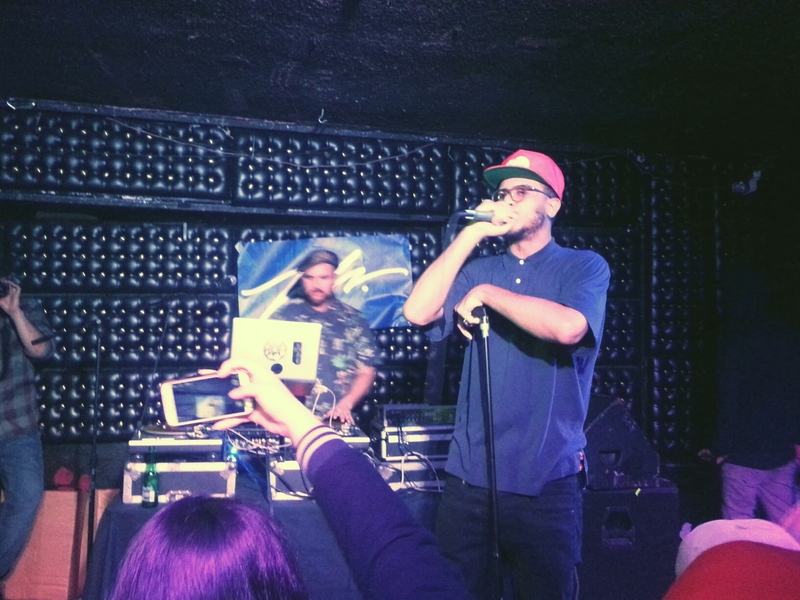 Seeing and hearing E&J being performed live was priceless. Although we’re only in March, E&J is my favorite album of the year thus far. Dag Savage is good hip-hop. One rapper, one producer giving it their all on every song. Throughout the rest of the performance they moved to, Soul Amazin’, No Greater Love, Dancing in the Rain, Blu Colla Workers and others. Although all the songs performed were familiar, Exile put a new and unique put a spin on them, as only Exile could do. Below The Heavens is one of the best underground albums out there and it was even better live. Exile himself put on a hell of a show. I have never, and don’t think will ever, see another producer use an mpc the way he does. He went from using it as one would a piano, moving his fingers from one pad to another, to literally karate chopping it. Exile’s solo, led to the crowd rushing the stage. I ended my night dancing on stage with my friends and the Dirty Science crew. This show was definitely one for the books. 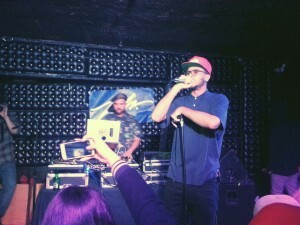 Last Friday February 21, I attended an amazing show at The Casbah. If you don’t already know what The Casbah is, shame on you! The Casbah is a venue that has been an iconic and integral part of San Diego’s music scene since 1989. They have showcased a number of bands such as: Nirvana, MGMT, The White Stripes, Arcade Fire, Social Distortion, Talib Kweli and The Black Keys. Hopefully those ring a bell, if not, again, shame on you. But if the talented artists and bands aren’t enough to hold your attention they also have pool tables, arcade games and most importantly, a full bar. It is a 21+ venue, so if you are not of legal drinking age my blogs might be your way of vicariously watching these shows. If you are able to attend, I’ll see you there! On this particular night Linnea Olsson and Ane Brun were the stars of the show. I had the pleasure of not only listening to Linnea but also interviewing her. The Swedish cellist was a delight. She was humble and sweet and those characteristics were exhibited throughout her performance. She opened her set with the song Ah! (Also the name of her debut album). Her gentle voice and soothing cello quickly filled the room. Ah! set the stage for the rest of her performance. Her second song was quite different. Giddy up featured Linnea’s perfect use of overdub, which allowed for this song to sound as though there was a full orchestra on stage. It was simply layer upon layer of various cello melodies. There were a few other songs in between that I can only describe as melancholy and classical. She ended her performance on an uplifting note with her song Dinosaur. Before playing it, Linnea described it as “a love story that has ended and it’s so good that it has.” Dinosaur was definitely the most poppy song out of them all. It fit perfectly into her genre that she described as “Cello Pop.” I am by no means an expert on the cello but I like to think I know a thing or two about music and based on my knowledge and the crowd’s response, I would say her performance was spectacular. By the time Linnea finished her set the crowd was already a few beers in, sweaty and wanting more. I watched as people looked at their cell phones and watches, waiting in anticipation for Ane. Finally around 11:00, singer, songwriter and guitarist Ane Brun took the stage. Ane opened up with First Positions. This song got the crowd swinging. Ane herself was dancing and playing with a smile on her face. Her appearance added to her performance. She wore a long black and gold robe that swayed as she danced and long gold earrings to match. She was fabulous! To top off her appearance her voice was, to quote Beyoncé, flawless. Prior to this show I had never heard Ane Brun and I was in awe. She changed the pace with Lullaby for Grown Ups, which was slow and wistful. It’s the kind of song you need to close your eyes to while listening, simply to take it all in. Linnea not only opened for Ane but she also played with her throughout most of her set, this only made every song better. As they were playing I heard people whispering “marvelous” and “amazing”. My personal favorite of Ane’s had to be The Treehouse Song which was reminiscent of Patsy Cline. It had a soft country feel to it, simple message and simple chords which made it perfect. Ane made everything she did; singing, strumming her guitar, dancing and playing piano look effortless. Watch the video for The Treehouse Song on Youtube. All in all Linnea and Ane were fantastic. I (and I believe many others) left the show feeling simply fulfilled. I encourage everyone to listen to both of these wonderful ladies. 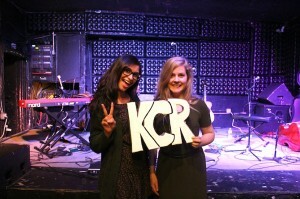 Yet another great show hosted by The Casbah. Make sure to keep an eye out for my backstage interview with Linnea.